Before you throw out the extra pumpkin leftover from baking the seeds, consider cooking it. Pumpkin is healthy and delicious. Consider making pumpkin soup or curry, bake pumpkin bars or cheesecake, or make and can your own pumpkin pie filling. There are tons of ways to cook pumpkin and a recipe for even the pickiest of eaters so get to cooking! Speaking of canning - preserved pumpkin is convenient and can be used for baby food, pumpkin pie filling and pumpkin bisque starter. Clean the pumpkin out, cut into fourths, place on pan with 1/4 inch of water cut side down, roast at 350 degrees for 60-90 minutes. 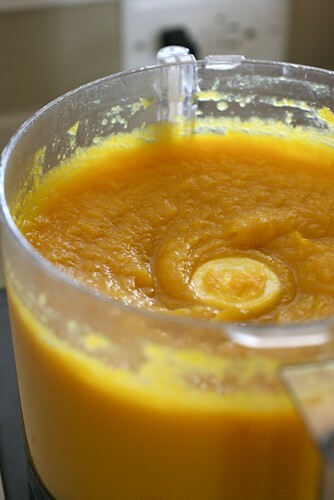 Let the pumpkin cool, scoop out the roasted pumpkin from the shells and place into a food processor. Process until completely smooth, 2-3 minutes. Place pureed pumpkin in canning jars and proceed with canning process. Add seasonings to your pureed pumpkin prior to canning - just be sure to label what it is for, i.e. pie, soup, etc. Have your pumpkins seen better days and the thought of eating them has you foreseeing a visit to the ER? Toss the pumpkin in the compost and give your little worm friends a treat. Wash, dry and store the pumpkins seeds to plant in early Spring. Add that compost to your soil for added nutrients. You'll have your own crop of pumpkins come fall. 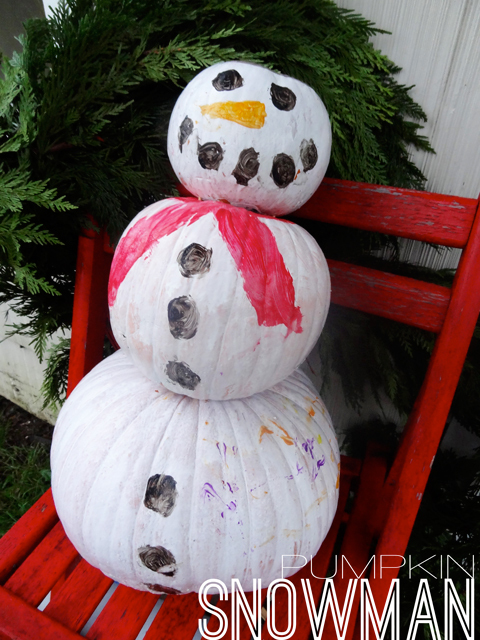 Turn those pumpkins into a Winter Snowman by painting them white. Give them a face and some buttons and stacking them on the porch. This is a great craft for the kiddos. I use kabob sticks to attach each pumpkin to the next. Did I miss anything? 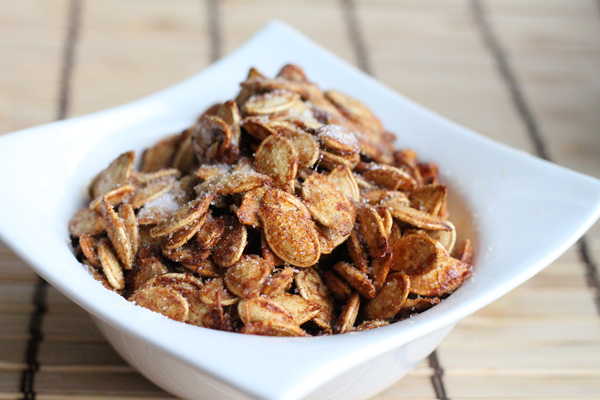 Have any special ways you use your leftover pumpkins?